There's a lot to see in the State of New York, but the only place I've photographed is New York City, and this was done in a single evening in the fall of 2018, on a whirlwind tour of some of America's big cities on the east coast and in the Midwest. I am sure I'll return here some day for more photography. I only had a single evening to photograph the New York City skyline, so I went to Old Pier One, which allowed for views of Manhattan, and the Brooklyn Bridge, during my whirlwind tour of East Coast and Midwest cities in the fall of 2018. Fortunately, the weather was agreeable, and I got exactly the shots I was hoping for! Available in the following sizes (Panorama D): 40x10, 48x12, 64x16, 64x16 Triptych (3 x 21x16), 80x20, 80x20 Triptych (3 x 27x20), 96x24, 96x24 Triptych (3 x 32x24), 120x30 Triptych (3 x 40x30), 144x36 Triptych (3 x 48x36), 168x42 Triptych (3 x 56x42), 192x48 Triptych (3 x 64x48). I only had a single evening to photograph the New York City skyline, so I went to Old Pier One, which allowed for views of Manhattan, and the Brooklyn Bridge, during my whirlwind tour of East Coast and Midwest cities in the fall of 2018. Fortunately, the weather was agreeable, and I got exactly the shots I was hoping for! Available in the following sizes (Rectangle B): 12x8, 18x12, 24x16, 30x20, 36x24, 45x30, 60x40, 72x48. 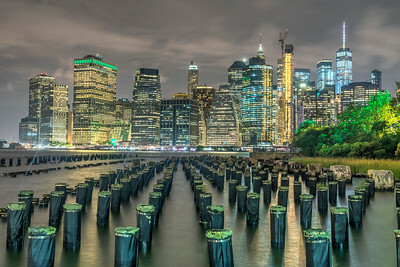 I only had a single evening to photograph the New York City skyline, so I went to Old Pier One, which allowed for views of Manhattan, and the Brooklyn Bridge, during my whirlwind tour of East Coast and Midwest cities in the fall of 2018. Fortunately, the weather was agreeable, and I got exactly the shots I was hoping for! Available in the following sizes (Panorama B): 30x12, 40x16, 50x20, 50x20 Triptych (3 x 17x20), 60x24, 60x24 Triptych (3 x 20x24), 75x30, 75x30 Triptych (3 x 25x30), 90x36, 90x36 Triptych (3 x 30x36), 105x42 Triptych (3 x 35x42), 120x48 Triptych (3 x 40x48). Some of the most expensive real estate in the United States is located, unsurprisingly, in Manhattan. 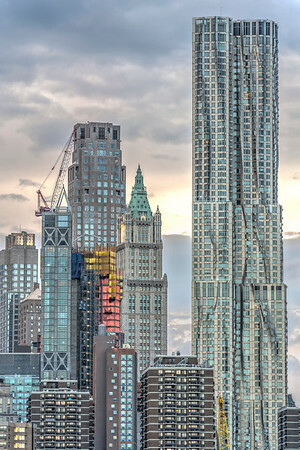 Referred to as “Billionaire's Row,” this section of New York City has apartments that have sold for over $100 million dollars. Not a bad spot, if you can afford it! Available in the following sizes (Rectangle B): 8x12, 12x18, 16x24, 20x30, 24x36, 30x45, 40x60, 48x72.